More than a year after the death of Freddie Gray and the ensuing riots, all six charged Baltimore police officers walked free and the attorney who prosecuted them faces a mountain of lawsuits, possible disbarment and calls for her resignation. While the lawsuits face a tough battle and the disbarment is unlikely, Baltimore State’s Attorney Marilyn Mosby did make a series of mistakes in the trial that cost her. Here are five of Mosby’s biggest missteps. When Mosby announced charges against the officers, the legal community largely felt she overstepped. While the death certainly warranted prosecution, she hit all six officers involved with a slew of charges including involuntary manslaughter, assault and depraved-heart murder. These charges came just one day after the police department gave her its investigation. The Baltimore police union quickly accused her of rushing to judgement. Mosby charged the van driver, Officer Caesar Goodson, with depraved-heart murder, a somewhat unusual and difficult to prove count. To prove depraved-heart murder, a prosecutor must show evidence that the killer acted even though he was conscious his action posed an unusually high risk of killing or seriously hurting someone. Proving that state of mind can be tricky. After the Baltimore riots, Mosby gave a rousing press conference that sparked accusations of bias and led to legal challenges from the officers. In the speech, Mosby raised eyebrows with her fiery rhetoric. 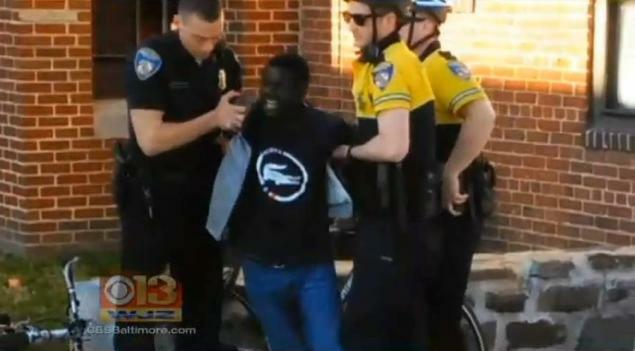 Mosby now faces legal trouble from the officers, who allege that they were inappropriately attacked in the speech as scapegoats to quell the Baltimore riots. They say Mosby knew the charges brought against them were bogus and that she only filed them to calm the city. They point to her rhetoric in the speech as evidence. Mosby did not fully use the investigatory powers of the grand jury, and it may have cost her crucial evidence. Grand juries have two main functions: an investigatory capacity to gather evidence, or to hear evidence from a prosecutor and then decide whether to indict. Mosby opted for the latter while she conducted her own hurried, independent investigation. The grand jury may have turned up new evidence that could have helped the prosecution. Rene Sandler, a Maryland attorney and former prosecutor, told The Daily Caller News Foundation earlier this month the mistake likely cost Mosby a conviction. Mosby’s office drew the ire of Judge Barry Williams when it failed to turn over evidence to the defense in Goodson’s trial. The last and most crucial mistake in the case came when the prosecution failed to convict Goodson. The entire case hung on the idea that Goodson gave Gray a “rough ride” where he intentionally drove recklessly to sling Gray around in the back. Once Mosby couldn’t prove that the van driver’s actions caused the death, she had little chance of proving that the indirectly related officers should be held accountable as well. Some legal experts pointed out that despite Mosby’s mistakes, this was a difficult case to win. Prosecuting police officers brings its own set of challenges and the questions surrounding how Gray actually died made this case difficult. Regardless, Mosby’s mistakes plagued the prosecution’s case and now Baltimore is left feeling like justice was not done because of it.